OK, so they’re shaped more like a vacuum cleaner than a dog. They still serve the important function of a seeing-eye dog: guiding their vision-impaired owners safely to where they want to go. FarEastGizmos reports that researchers in Japan are testing a new robot to fill in when seeing-eye dogs are unavailable (or unwelcome, as is sometimes the case in Japan). The robot is one meter tall and half a meter wide, and features a handle which the user grips. The robot then uses voice and motion to guide the person to their destination. The current model must be pre-programmed with maps and other environmental information. 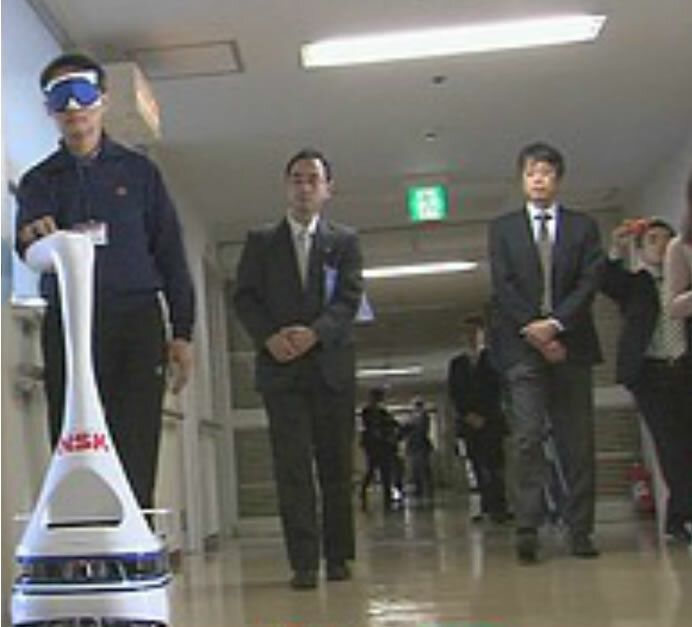 The robot was tested by a blindfolded employee in a hospital in Atsugi City, near Tokyo, and was found to perform well. Planet Japan is a pretty cool place! そうですね。 That’s so, isn’t it!